Mark your agendas, the Board of Tourism has released the tourist entertainment calendar both for 2019 and 2020. Hence, the Madeira Tourist Board organizes these activities principally for tourists. If you would like to witness or participate in events organized across the island for Madeirans, please refer back to this blog post or to this one. 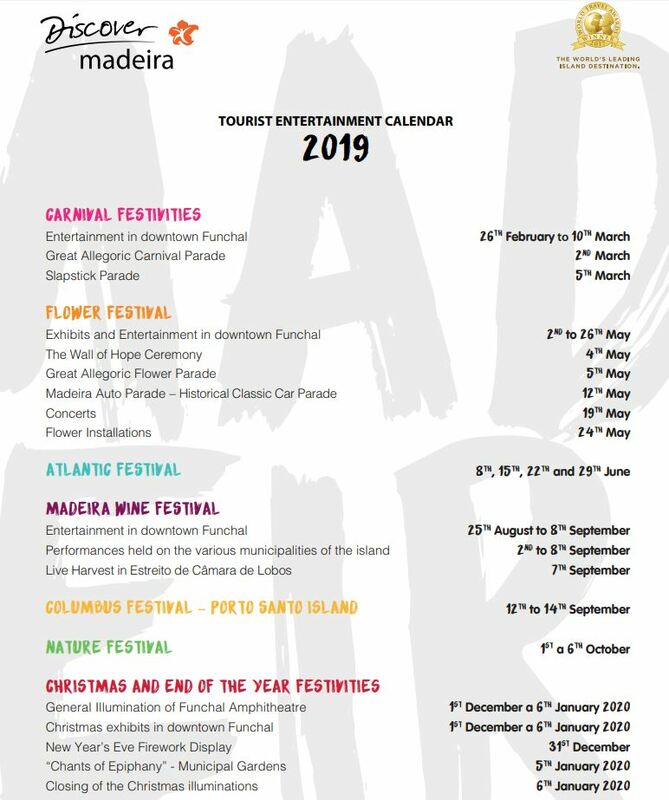 Here is the Tourist Entertainment Calendar for 2019. 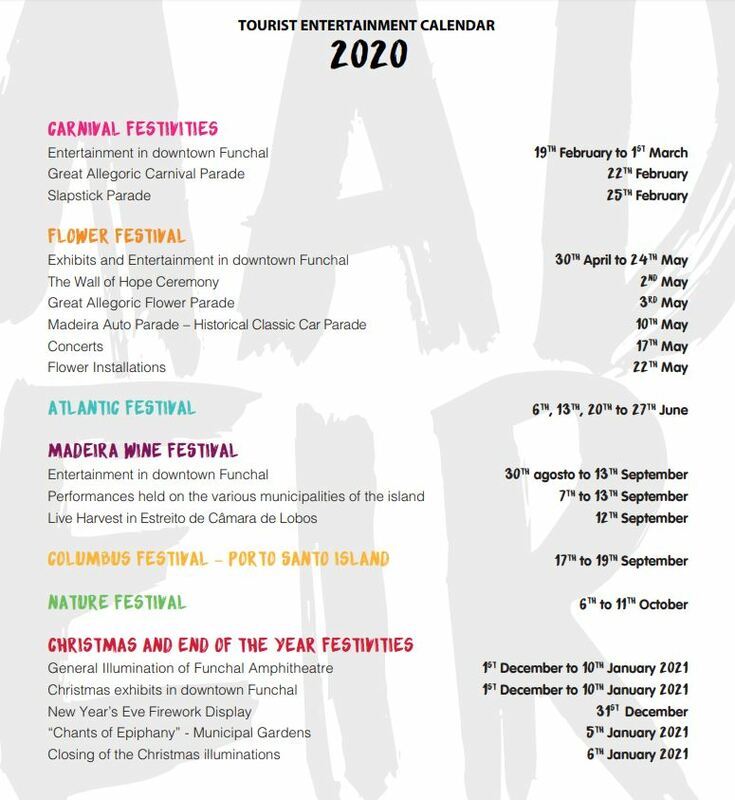 Here is the Tourist Entertainment Calendar for 2020.